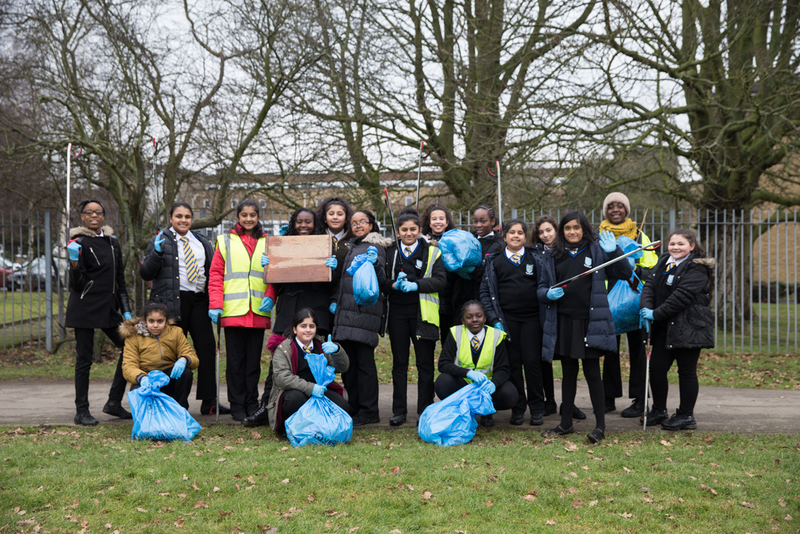 Some of KHS’ Year 7s took part in an initiative with the local primary schools, Brent and Veola getting involved in a litter programme. The students spend the afternoon in the areas surrounding the school clearing litter, making it a cleaner environment for everyone. The activity turned into a fun competition where everyone wanted to be the best litter picker and make the biggest impact on the environment they live in. Students have already asked to repeat the activity, which shows how much they care about their environment. In a fantastic week for debating at Kingsbury High School, Sara Dehvari and Enilla Ansari claimed victory over three hard-fought rounds at the Cambridge Union to reach Finals Day of the competition, to be held on Saturday 18th February. This was the highlight of an intense week of competitive debating, which also saw Kingsbury High School hosting almost twenty schools and over a hundred student debaters in the Sixth Form Study Centre for the Oxford Union Debating Competition; and host five schools for the second round of the English Speaking Union (ESU) Mace competition. In preparation for the Cambridge Union Finals Days our students have attended a debating workshop led by an experienced debater, George Benson. 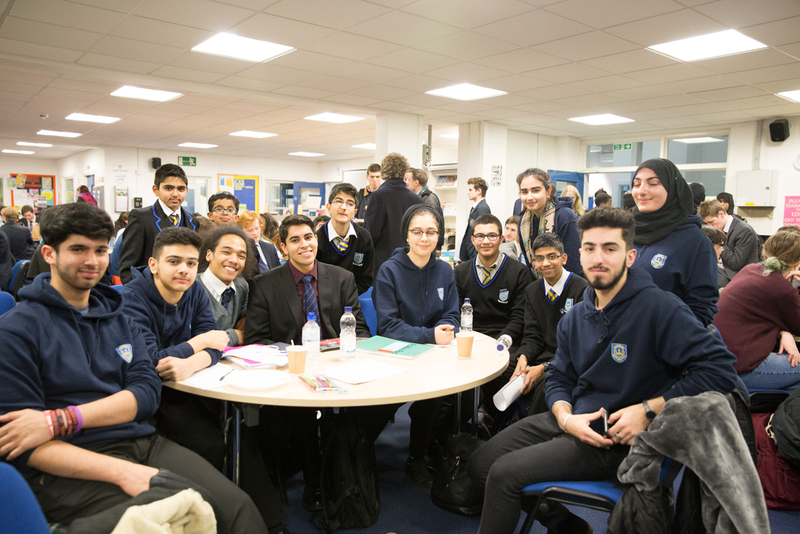 This year’s debating success reflects the efforts of Ms Tumber in promoting the lunch-time Debating Society to Upper School students across the age range, which has resulted in one of the most exciting years yet for this long-established school club. Thank you to every member of staff who contributed to our debating events over the last week: the students really appreciate your support. Congratulations to both Emily and Samiya for another great performance during the Preliminary heats of the Rotary Young Chef Competition 2017. Both Year 7 students managed to secure a place at the second round of the competition earlier this month. We are thrilled to say that Samiya came 2nd out of 12 students from 6 different schools and goes forward to the London District Final. The professional Chefs/Judges also praised Emily highly for her menu and she just missed out on going through to the next round. 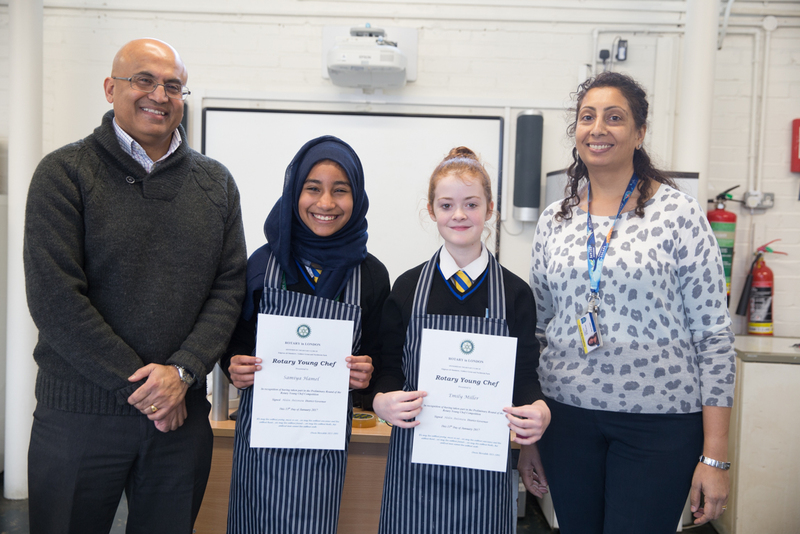 Both girls should be incredibly proud of themselves for their cooking achievements throughout the competition and we wish Samiya all the best for the London District Final. 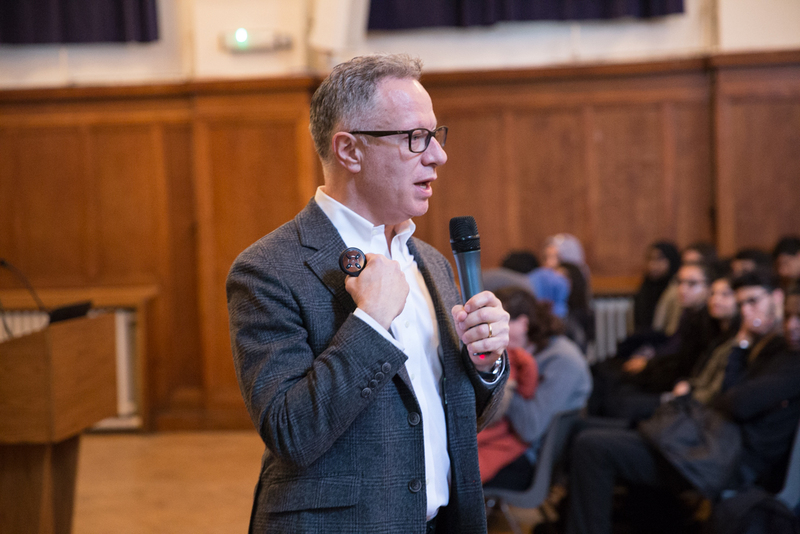 It was an inspirational and captivating talk from Andy Rubin, CEO of Pentland Brands, who came to Kingsbury High School to treat the Year 12 students to an insight of his own background as well as Pentland Brands. During an introduction, he inspired the students by proving that hard work pays off, giving an overview of his educational background and the history and growth of the family run business. Pentland Group works for and with retailers such as JD, Millets, Ellesse, Red or Dead, to name but a few. Throughout his speech he offered thoughtful advice and an understanding of what it means to be the CEO of such a business. He left the students with a clearer understanding of the company, career options and the global business world. 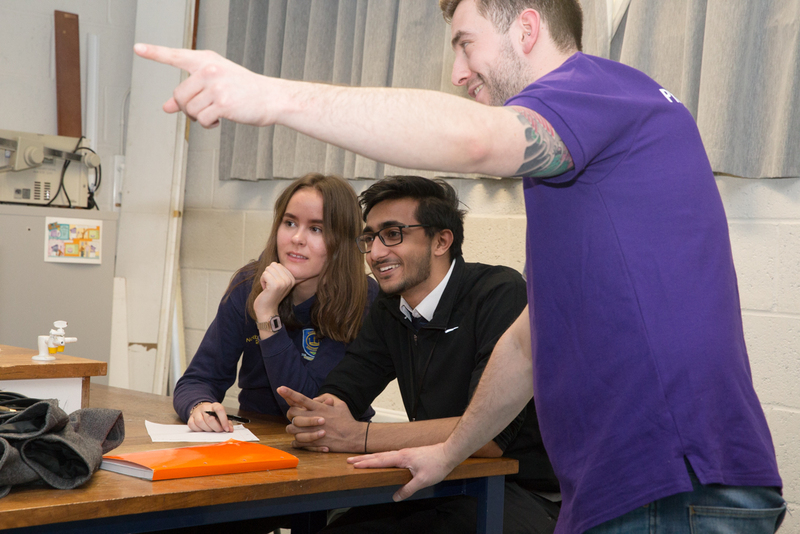 Thank you to Kathryn Coldham, Natasha Hehir and Stephen Gurney, three University students from the School of Physics and Astronomy at Queen Mary University of London, who came in to give an insight into what physics studies at university look like. It included a demonstration of angular momentum and how this relates not only to our everyday experiences but to the Universe as well, there was an exercise deriving E=mc2, and discussions of how Physics at university is different from school and what it can enable you to do in terms of careers. 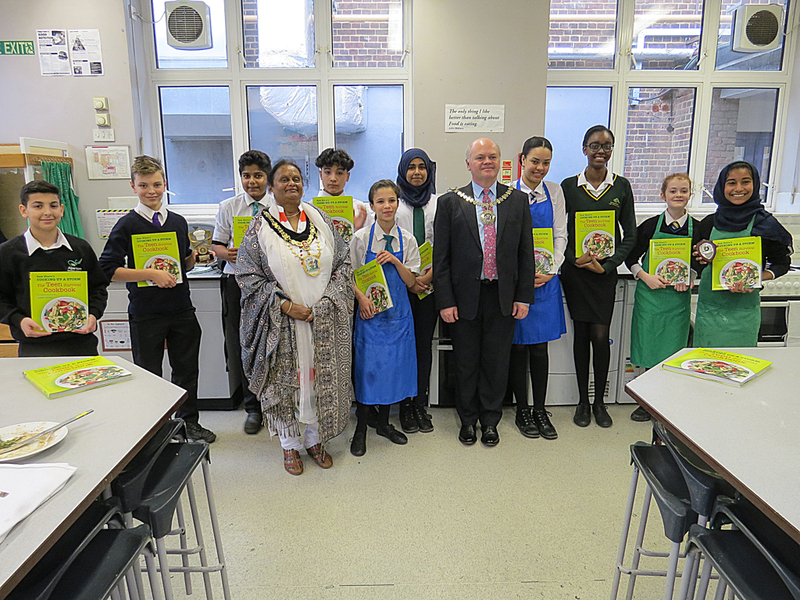 On Friday 13 January 2017 two Year 7 Students, Samiya and Emily, took part in the Rotary Young Chef Competition, where they showcased some fantastic skills to the judges. Cooking skills, presentation and flavour of dish, consideration of healthy eating options and food hygiene issues, organisational and planning skills were all taken into consideration on the marking scheme. The presentation of the entry and the flavour and texture of the dish were judged and part of the marking process. Samiya prepared fresh pasta with pesto, mushroom and chicken all made from scratch, showing some incredible skills at such a young age. Emily’s dish was a Thai lemon chicken with vegetable rice. It was an extremely difficult decision and the final score was very close, but Emily’s flavours won her first prize. Kingsbury High School is very proud to say that both students are through to the next round, the Preliminary heats, which will be held later this month at Park High School where the girls will compete against students from other local schools. For this Samiya and Emily will be expected to prepare a main course plus a dessert. We wish them all the best of luck!